Stuff doesn’t grow in the winter. Well, most stuff doesn’t anyway. Turf grass doesn’t. Trees really don’t. Roses don’t. Flowers don’t. Bushes don’t. 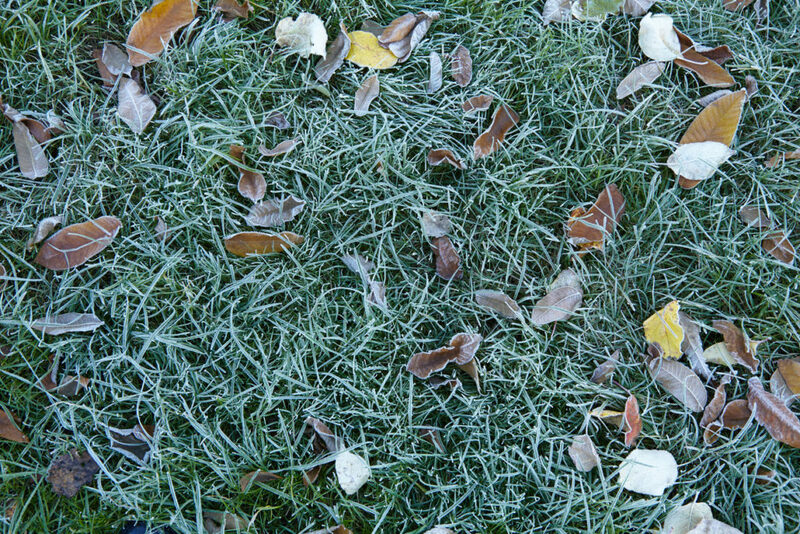 Pretty much everything you maintain in your yard for most of the year becomes dormant in the winter. “Dormant” is a word that sounds like its definition: “Having normal physical functions suspended or slowed down for a period of time; in or as if in a deep sleep.” But just because your yard becomes dormant doesn’t mean the work in it can stop. There is a lot to do in preparing for a healthy growing season once the weather warms and everything germinates. For instance, you need to rake leaves and clear twigs and other debris from your yard. Some trees and shrubs need pruning. Be sure to inspect your roses and make sure their root systems are protected. Then there are the weeds. The good news is weeds die in the winter. The bad news is they dropped their seeds before dying. You may need a January application of pre-emergent herbicide, depending on how mild the winter is. Just because it appears growth has “suspended or slowed down” – gone dormant – doesn’t mean you can stop maintaining your yard. That’s a truth we can apply to the Christian life. We experience seasons where we grow and thrive spiritually. God’s Word comes alive when we read the Bible and walking with God is like walking in sunshine through a mountain meadow in full bloom. But then we also experience spiritual seasons that are like walking through a barren winter forest on a cold, gray day where the wind cuts through you. Your spiritual life has gone dormant and you feel awfully alone. Every Christian experiences those times. What do you do? Just because your spiritual life becomes dormant doesn’t meant there is nothing to do, and it doesn’t mean the situation is hopeless. To the contrary; it’s an opportunity. This is where faith and faithfulness come in. Faith in earnestly believing the truth that God doesn’t leave or forsake you, especially in those times when you feel a winter chill has settled in your soul. And faithfulness to keep praying, to keep reading your Bible, to keep serving others, to keep fighting sin. This is the good in which we must not grow weary in doing. We must never equate the quality of our walk with the Lord with feeling spiritual sunshine on our faces, but rather by our faithfulness in clinging to the Lord in our most desperate of times. Christian, don’t give up or give in to weariness. Cultivate your relationship with the Lord if you are in a season of spiritual dormancy and then look forward to the spiritual harvest that lies ahead.